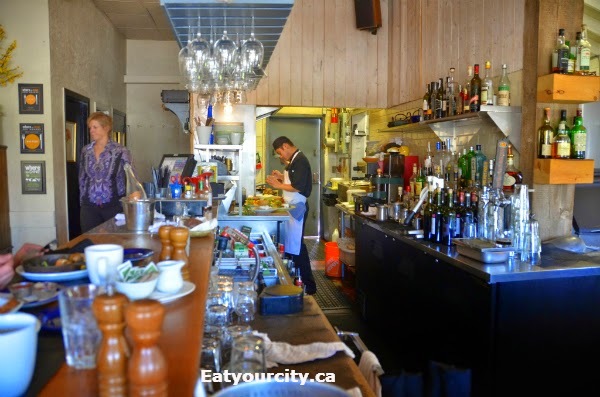 Eat Your City: Big Fish Dockside Seafood Restaurant & Oyster Bar Calgary, A - amazing seafood brunch and eats! 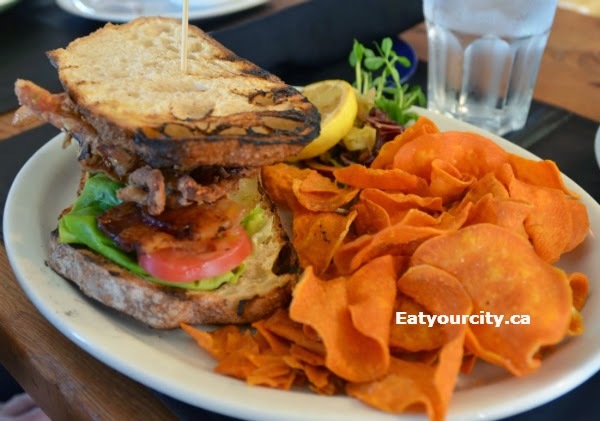 Big Fish Dockside Seafood Restaurant & Oyster Bar Calgary, A - amazing seafood brunch and eats! 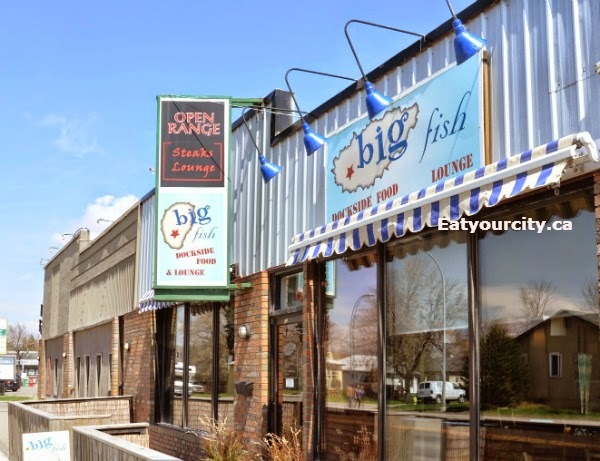 Posted by For recent family brunch, my boyfriend and his family hit up Big Fish Seafood Restaurant and Oyster Bar. 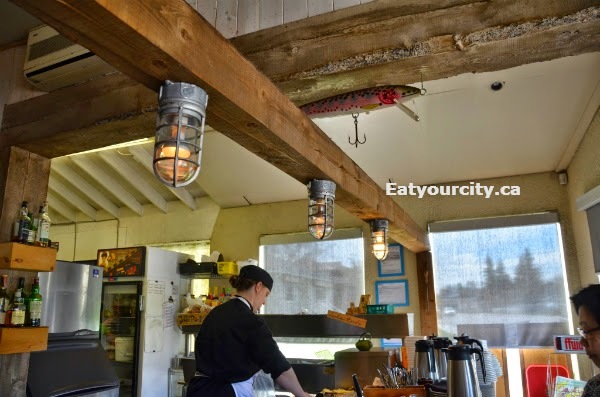 It has an industrial chiq look to it, yet you feel like you just stumped into a down to earth fisherman's diner on the coast. Its unpretentious, and honestly simply done and well executed seafood. Chef Chef and co-owner Dwayne Ennest flies around the kitchen making all the food magic happen. All their seafood options are sustainable seafood as Fish is a member of Vancouver Aquarium's Oceanwise program, although with some advanced notice, vegetarian options can be made as well. Love the cute whimsical signage out front! The open kitchen ties in nicely with the bar, where you can try some cocktails, or wines to pair with the seafood dishes on the menu. Since it was pretty early for booze, we had a round of freshly squeezed lemonade around the table - refreshing! The potatos were delicious too, but the star of the plate was the burger.. nom! The Wild mushroom, truffle, basil and white cheddar scramble on Noble duck confit hash looked deceivingly plain. Its not. It will blow your mind with the delicious bits of wild mushroom, cheddar and confit duck hidden within the hash that's hiding under a blanket of fluffy scrambled eggs. After trying one of their Bison chorizo sausages (made in town), we ordered a few more as they had a wonderful snap as you bite into the juicy and lean mildly spicy sausage grilled to perfection. Nom! A few around our table went with the Eggs Benedict - poached farm eggs with house made basil hollandaise - choice of bison shortrib, smoked Sturgeon, market vegetable or Dungeness crab. We went with the Dungeness crab! The eggs were poached to a perfectly jiggley soft and topped with a luciously creamy hollandaise that had a nice hit of basil in it. This was all piled atop a generous mountain of sweet Dungeness crab.. mmmm! 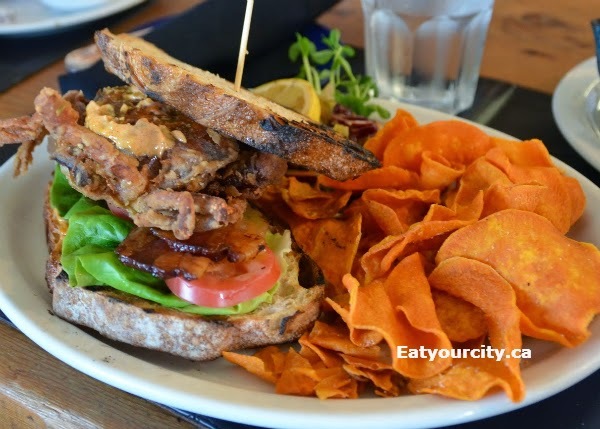 The rest of the family went with the Soft shell crab club sandwich with wild boar bacon and organic tomatos. 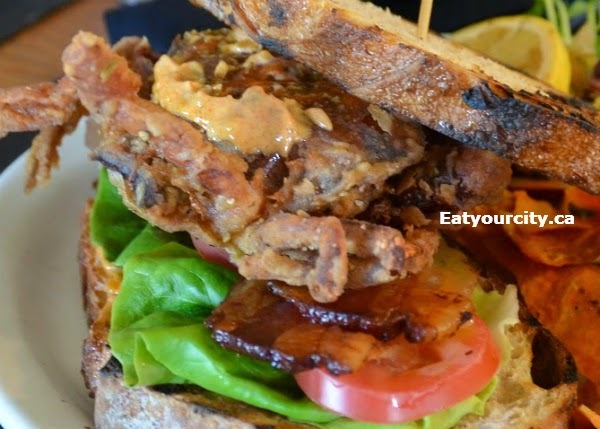 A fairly large whole soft shell cram is deep fried to perfection with a crispy crunchy exterior and sweet succulent soft crab within! The yam chips and wild boar bacon was a nice smokey savory note, but the soft shell crab is the star of the show.. 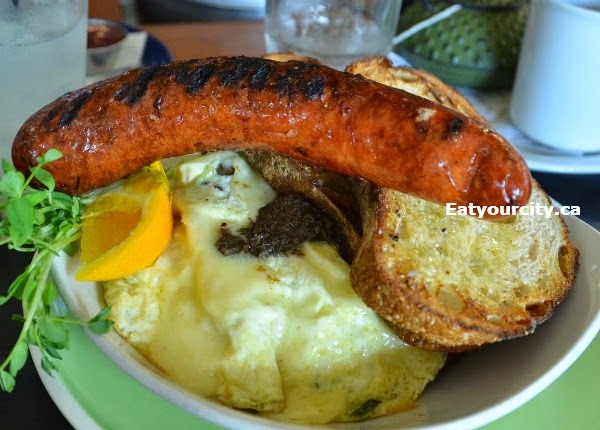 Overall, a great laid back restaurant with fantastic fresh seafood brunch options. The food is honest and well executed, and we'll be back to try the traditional seafood paella served only on Sundays sometime!